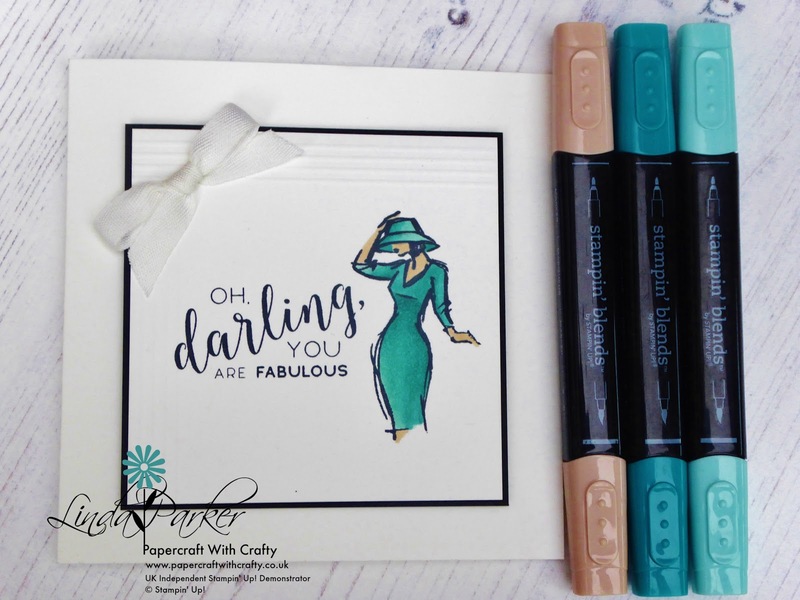 When I espied the fabulous new Stitched All Around stamp set which debuts in the upcoming new Annual Catalogue, I was struck by the pretty font style and also the sentiments. I chose to use one of those sentiments for this card as I think it works so well with the elegant lady from the Beautiful You stamp set. Beautiful You was a big hit with customers when it was introduced in last year's catalogue and I believe that this new stamp set will prove to be just as popular. I kept everything very simple for this one, with my sophisticated lady providing just a little splash of colour ! I rather like it - hope you do too. You are right Linda, the lady does look spectacular in Bermuda Bay along side this new sentiment from the 2018 catalogue.